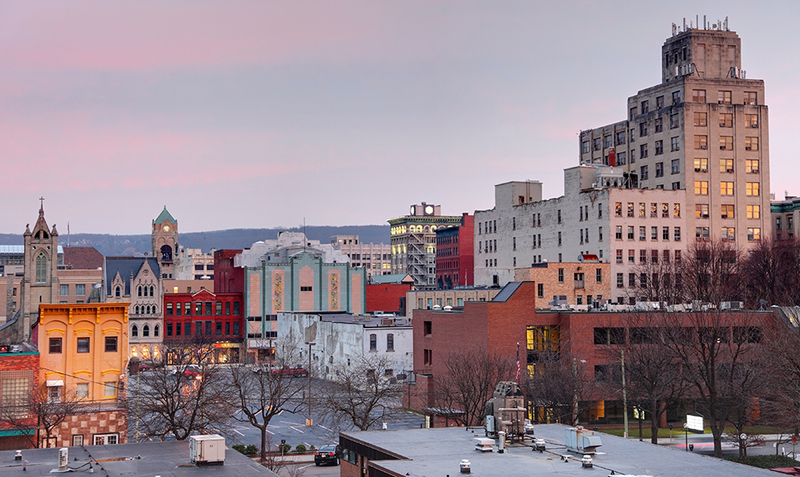 Home buyers in Pennsylvania will find a lot of variation throughout the state in terms of price, real estate taxation, and affordability based on local incomes. 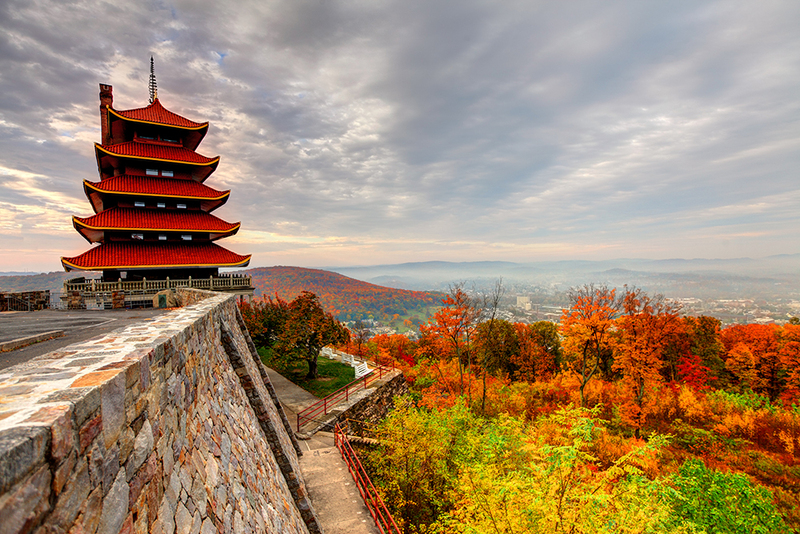 Significant differences exist between the western and eastern halves of the Keystone State, with Philadelphia serving as the state's economic center. Home prices in the Keystone State are below national averages, according to the Pennsylvania Association of Realtors. The real estate group estimates the state's median sales price at $170,000 and the average at around $214,000. Both of these are increases of roughly 4% from previous figures. The National Association of Realtors pegs the country's median home price at $234,000 and the average at $276,000, placing Pennsylvania below the national average. Like state values, the national estimates also reflect upward movements of about 4-5%. The real estate tracker Trulia shows a heat map of list prices in Pennsylvania. Colors vary from dark green (very low prices) to dark red (very high prices). Most of the Keystone State is green, with some orange and red in the Pittsburgh, Philadelphia, Westport, and Driftwood areas. Recent market research reveals a median list price for condos in the state to be $169,000, and this price has been steadily increasing for several years. The national median list price for condos is roughly $260,000; so Pennsylvania is significantly cheaper here as well. The latest property research also shows below average prices for 4-bedroom homes in the Keystone State. The national average is $350,000, while Pennsylvanians typically pay just $305,000. The western half of Pennsylvania tends to have lower property values than the eastern half. The state's Association of Realtors has calculated that while closing prices have increased recently, the number of homes for sale has actually decreased. The group estimates the total number of residential units on the market in the state to be roughly 55,000. The property group also estimates the affordability in the Keystone State to be roughly 190. This means that the median household income in Pennsylvania is 190% of the salary that lenders generally require to purchase the average house with current interest rates. The higher this number, the more affordable houses are in a region. The national average is in the low 160's. The Reinvestment Fund, a community services organization headquartered in Philadelphia, published a pamphlet in 2007 noting that, “High percentages of subprime loans in the sample for Pennsylvania have adjustable rate mortgages. This suggests that numerous homeowners will be subject to a significant increase in the interest rate on their loan—and higher monthly mortgage payments—in the short term.” How prophetic that was. The number of foreclosures in the state did in fact increase after the Great Recession of 2007, but not significantly so. According to data stretching back to 1979 that was obtained from the Reinvestment Fund, Pennsylvania has had above-average foreclosure rates for many years. According to The Keystone Research Center, a 501(c)(3) economic think tank, housing prices before the mortgage crisis were highly inflated. The group estimates that property values increased by more than 50% from 2001 to 2006. By comparison, the consumer price index increased only 13% during this time. The state's housing prices between these years grew more quickly than both the cost of renting and the cost of construction. The Keystone Research Center also notes that subprime mortgages in some areas of the state prior to the housing debacle made up over 35% of all mortgages. The group identified some neighborhoods that were as high as 80%. Pennsylvania did not experience a quick recovery from the Recession. According to the Housing Alliance of Pennsylvania, the state experienced a rise in foreclosure filings from 2009 to 2010. The foreclosure rate fell in 2011. 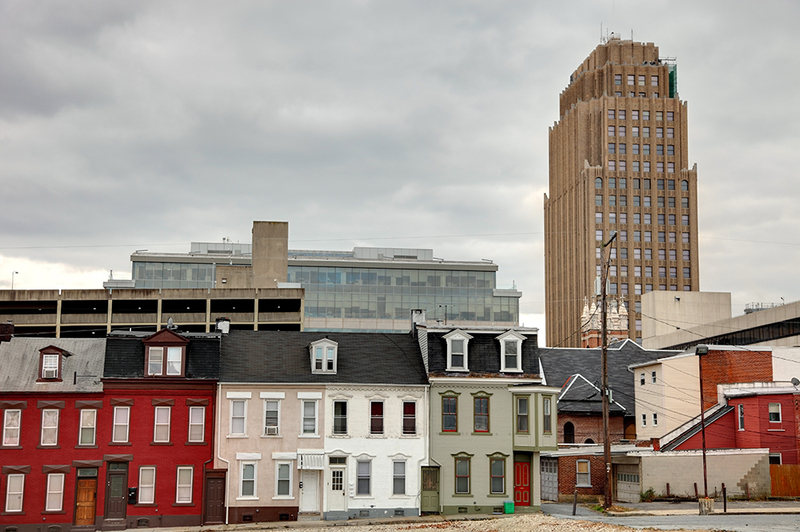 Despite the difficulties the Keystone State has faced since the real estate market crisis, there are signs of recovery. For instance, after bottoming out in 2012, home values in Pennsylvania have been rising ever since, and real estate experts predict they will continue to do so. This trend has been observed with condos, single-family homes, and across all price levels. The boom associated with the tech market bubble of the late 1990s drove Pennsylvania homeownership to a peak of 75.2% in 1999. The repeated boom and bust cycles since then have driven the rate of home ownership down to 68.5% in 2016. The largest city in the Keystone State is Philadelphia, aka The City of Brotherly Love. With a population of over 1.5 million it easily dwarfs the next biggest city, Pittsburgh, which has just 300,000 residents. Philadelphia is the center of the state's economy, hosting the headquarters of several major companies, including Comcast, Colonial Penn, and Pep Boys. Hospitals and universities also provide many jobs. Unemployment has been a problem in the city, however, with above-average data. 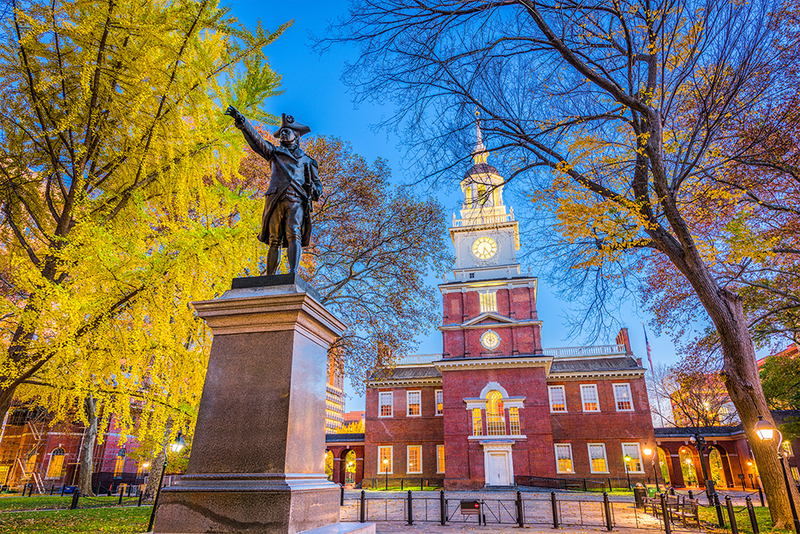 Because of Philadelphia's colonial past, the city has a robust tourism industry, with millions visitors and billions of dollars of revenue each year. The city is also a major sport hub, with the Eagles, Phillies, 76ers and Flyers calling the city home. The real estate tracker Trulia estimates the median sales price in The City of Brotherly Love to be $172,000. This is an average; downtown Philly and outlying areas will be more expensive. The figure is about a 3% annualized increase over the past several years. On average, there are about 3,000 sales per month. Winters usually see a slower pace of buying activity in the city. The U.S. Census Bureau estimates the median income in Philadelphia County, which is coterminous with the city, to be just under $39,000. Compared to Trulia's median sales price, we calculate a price-to-income ratio of 4.4. This is a little high; but other regions of the country have higher values. Tucson, Arizona, for example, is at 4.6. 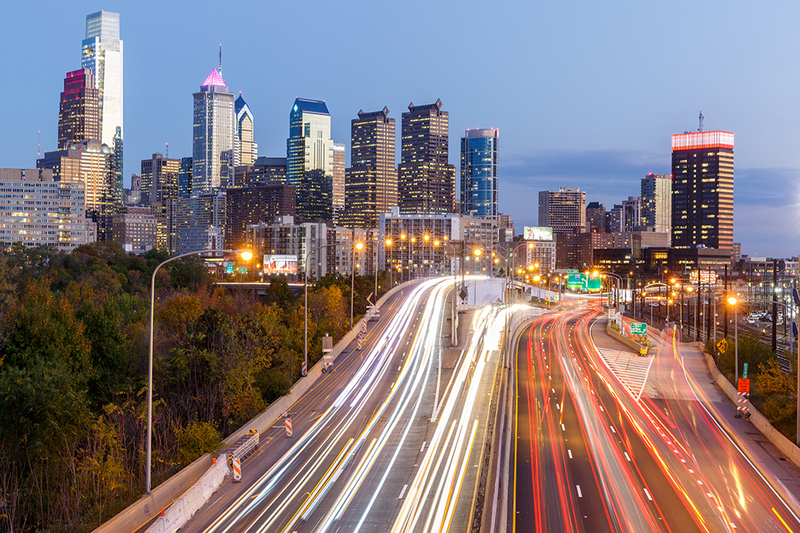 Philadelphia is one of the fastest growing cities in the Keystone State. It has seen its population grow by more than 100,000 residents in a decade. No doubt, the city's vibrant economy is the driving engine behind its population growth. Out west, there is of course Pittsburgh. Times have changed, and the steel industry is no longer the biggest employer. Today, finance, education, and health care create more jobs. The University of Pittsburgh Medical Center is the region's biggest employer. Carnegie Mellon University has a world-renowned computer science program. The National Association of Realtors places the median list price in Pittsburgh at $170,000 with a closing price of just $164,000. Combined with the Census Bureau's median income estimate of $42,000, we calculate a price-to-income ratio of 3.9. Sports fans have a broad range of options to choose from with the Steelers, Pirates and Penguins calling the city home. 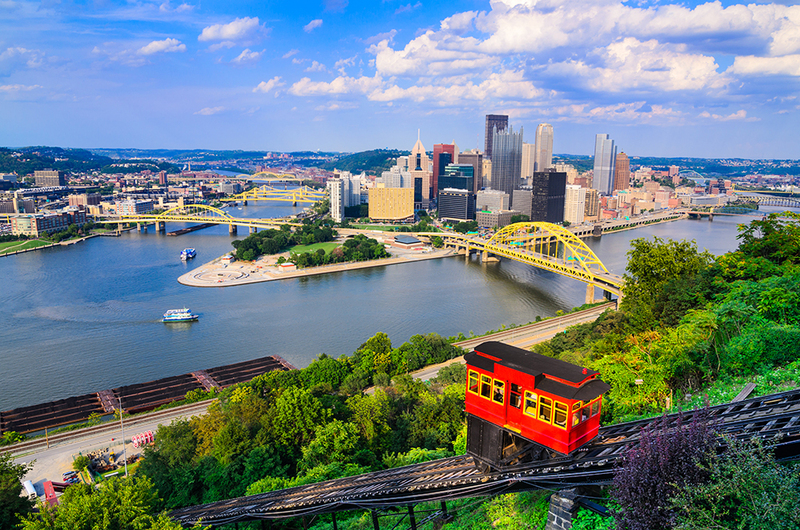 Philadelphia & Pittsburgh dosn't have the lowest housing prices around. To find these in Pennsylvania, you can head northwest to Bradford. This small town is located on the state's border with New York. Bradford has a population of less than 9,000, but still has some significant employers including Zippo, the manufacture of lighters. The knife company Case also has a presence in the town. Wal-Mart and a local hospital provide jobs. The median sales price of a home in Bradford is a very low $70,000. The U.S. Census Bureau lists the median value of owner-occupied houses to be roughly $76,000. The government's census also estimates the median annual household income to be $44,000 in McKean County, which encompasses Bradford. This produces a price-to-income metric of 1.6, which is fantastic by any standard. Pike County, in the upper northeastern corner, is a popular area. The Poconos area is an area rich in recreational activities, lots of lakes, rivers and waterfalls, and brags much Federal and State Parkland. Though prices tend to be higher than the rest of the state, they have also been much less volatile than elsewhere in the US. This is a scenic area, and is easily commutable to NYC for weekending trips. Lake Wallenpaupack is a popular local recreational area. Milford PA is the local destination for art and antique lovers. Lancaster offers good amenities and reasonably stable values. The area is growing, and prices are starting to edge up. There's a good mix of new construction, late model homes, and historic properties. Lancaster is in the heart of Amish Country, and is surrounded by beautiful farmland dotted with old Mennonite stone barns. Adamstown, a popular antiquing destination, is nearby, as is Harrisburg, the state capitol. The New Hope area is a scenic Upper Bucks County enclave which offers a high quality of life. The New Hope and Lambertville area has always been known as an artists' colony, and there is a theater, great restaurants, some night life featuring live music most nights of the week, and lots of galleries and antique shops. New Hope is easily commutable to Philadelphia and NYC. People looking to reside in a youthful location may want to consider State College, which is the home of Pennsylvania State University. Pennsylvania has approved gambling, and some areas in PA now have open casinos, with others planned. The Sands opened a casino in Bethlehem. Pittsburgh also has a casino just outside the city at The Meadows Racetrack. Mount Airy Casino and Resort in the Poconos is now open. Bensalem, Chester, Erie, Grantville, and Wilkes-Barre also have open casinos. Table gambling has been approved statewide. This has helped to keep the Commonwealth from suffering the financial woes that other states have suffered, though budgets are still tight in Harrisburg. Residents were reluctant to see the casinos open, but surprisingly there has been little downside after their opening. One possible real estate-related issue is the exploitation of the Marcellus Shale Formation for gas extraction by "fracking", though PA is far from alone on this issue, and grassroots activists have united across the country and multiple fracking documentaries have been produced. There have been some disturbing reports of water pollution, methane gas leaking and explosions, mysteriously dead farm animals, and the devastation to woodland and farmland caused by gas drilling companies. Before purchasing it may be wise to do some homework about what's happening in the area you're considering in regards to gas extraction. According to the United States census an estimated 12,784,227 people live in the state of Pennsylvania. The state has 44,742.7 mi² of land area, which gave it a population density of 283.9 per mi². Here is a list of cities, towns, townships, municipalities & boroughs with more than 10,000 residents, with their estimated population as of June 2016 & the 2010 United States Census. For Census Designated Places (CDP) where there was no population estimate available for 2016, the 2011-2015 American Community Survey 5-Year Estimates data was used. 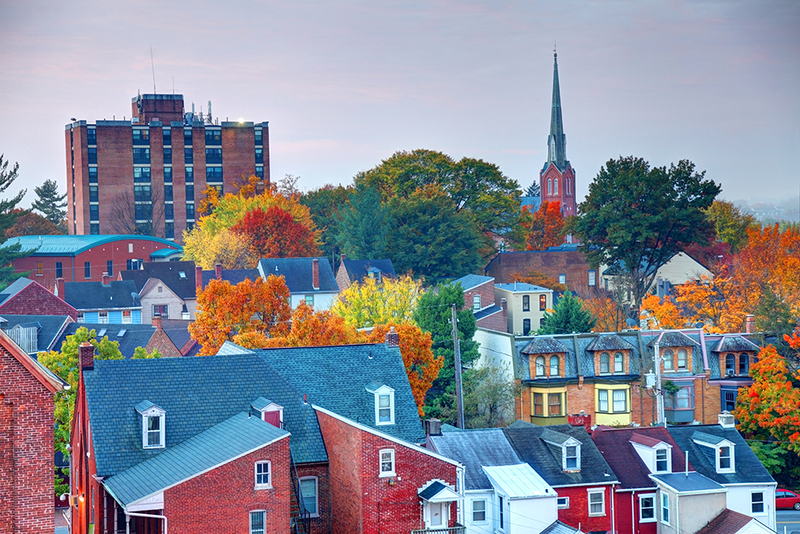 A variety of home loans are available in the Keystone State. These include fixed-rate and adjustable-rate mortgages. The fixed-rate products have APR's that don't fluctuate through the term of the loan—hence, the term fixed. They come in 10, 15, 20, and 30-year terms. The 30-year mortgage is the most popular in Pennsylvania because it offers the lowest monthly payment. The longer the loan's term, however, the higher the interest rate will be. Switching to a 15-year mortgage from a 30-year would save tens of thousands of dollars in interest payments. Adjustable-rate loans frequently offer lower initial APR's than 30-year fixed mortgages. But there is one caveat to these products: their interests change while you're living in the house. The initial rate typically lasts 3, 5, 7, or 10 years, depending on the terms of the ARM loan. Then it will change once per year. Balloon mortgages are another route for aspiring homeowners. Balloon mortgages are when a large portion of the borrowed principle is repaid in a single payment at the end of the loan period. Balloon loans are not common for most residential buyers, but are more common for commercial loans and people with significant financial assets. Mortgage lenders that provide these loans usually want a 20% down payment, which can be a lot of dough when assessed against a house. Debt-to-income ratios under 40% are preferable, and credit scores above 740 receive the best interest rates. As a general rule of thumb, coming to the table with a 20 percent down payment is usually the best approach. This down payment requirement does not apply for Federal assistance programs such as FHA, in which applicants can have a lower credit score and income but still receive financing. The piggyback loan is another type of mortgage which is simply two mortgages in one. The piggyback loan can eliminate the need for private mortgage insurance by covering 80% of the home's value with the first loan, while the second loan helps to pay for part of the down payment. As of 2019 the conforming loan limit across the United States is set to $484,350, with a ceiling of 150% that amount in areas where median home values are higher. High local affordability makes the $484,350 ceiling apply nearly statewide for single unit homes. Dual unit homes have a limit of $620,200, triple unit homes have a limit of $749,650 & quadruple unit homes have a limit of $931,600. The one exception to the above is Pike County, which is considered a HERA High Cost Area with 2019 conforming loan limits of $726,525, $930,300, $1,124,475 & $1,397,400 for 1, 2, 3 & 4 unit dwellings. Home buyers who don't meet these standards might qualify for attractive terms with a government program. The Veterans Administration offers mortgages to previous members of the armed forces. The VA doesn't require any down payment, but it will charge a funding fee that ranges from 1.25% to 3.3%. Lower funding fees are available to borrowers who are able to put something down. The Federal Housing Administration is another government agency that provides home loans. The FHA loan program requires a 3.5% down payment with just a 580 credit score. Insurance premiums are required by the FHA on any mortgage with a down payment of less than 20%. For former members of the U.S. military, the Veterans Administration provides an unbeatable deal by offering mortgages with zero down payment required. There is a funding fee for veterans who choose this option, however. It is between 1.25% and 3.3% of the loan's value. Borrowers who choose to make a down payment are offered a lower funding fee. VA loans are underwritten by private banks, and insured by the U.S. government. Housing assistance is available to Pennsylvania residents. There are several programs that offer a variety of services. One in particular helps borrowers with down payments and closing costs. Another program helps Pennsylvanians with disabilities, while yet another provides homebuyer counseling. There are also programs to assist current home owners with property improvements and repairs. The state's real estate services are offered through the Pennsylvania Housing Finance Agency. Most natural disasters - other than flooding & earthquakes - are typically covered under standard homeowner's insurance policies. Pennsylvania has a very low risk of wildfires or earthquakes. Homeowner's insurance policies typically do not cover flooding. Here are counties across the state which have a flooding risk profile above very low. Most of the state has a very low to low risk of hail. Counties with higher risk of hail damage include the following. Most of the state has a very low risk of tornadoes. The southeastern border of the state is considered to have a moderate tornado risk. York county has a moderate tornado risk, while the following counties have a low risk: Adams, Dauphin, Lancaster & Lebanon. Property taxes in Pennsylvania are assessed at the county level, and there is a wide variation in effective tax rates from place to place. For example, residents of Allegheny County pay 2.16%, while Bedford County is at 0.91%. Philadelphia County, which is the same size as the city, simply uses current market value as assessed value. It charges 0.92%, one of the lowest rates in the state. Neighboring counties, which have some of the area's prime real estate, have much higher rates. A home in Montgomery County, which shares a border with Philadelphia County, is charged $1,440 per $100,000 of assessed value. Across teh state residents paid an average of $3,900 in property taxes in 2016 at an assessed rate of 1.89%. In Philadelphia property taxes cost home owners an average of $5,324. Many cities across the state also have extensive realty transfer taxes. Scranton, Philadelphia & Pittsburgh all charge above 4%. Pennsylvania law requires home sellers to disclose “known material defects” that aren't easily seen. These features include structural problems and similar issues. According to the Pennsylvania Department of State, types of issues that must be noted include roof repairs or damage, pest or termite problems, or plumbing troubles. The problems must be disclosed before the sale is finalized. Foreclosures in Pennsylvania are handled within the state's court system. These are known as judicial foreclosures for obvious reasons. Nonjudicial foreclosures, which bypass a court of law, are not available. In the case of loan default, the lender will file a lawsuit at the state level. The complaint is then served, with a summons, to the borrower, who has one month to answer it. After the judge rules in favor of the plaintiff, the property is auctioned off to the highest bidder. Some counties do have a mediation program to assist parties involved with a foreclosure. These programs can help to circumvent the state's judicial system. Mortgage defaults in the Keystone State follow the recourse protocol, meaning that a lender can pursue a borrower's personal assets in a court of law, in addition to the loan's collateral. In non-recourse states, the lender can only pursue the collateral, which typically is the home itself. Pennsylvania allows for deficiency judgments in the case of home auctions that don't produce enough revenue to pay off the corresponding mortgages. A deficiency judgment is not often used in the Keystone State, and it is limited by law to the property's fair market value. Although the state had a difficult time climbing out of the Great Recession, property values are now on the rise. The western half of the state offers the lowest real estate prices, although Philadelphia tends to be the state's magnet for job hunters. This economic strength comes at a cost, however, as it doesn't offer the best value in home prices when compared to local incomes.